In the spirit of sharing, here’s another good one. If you like it, do it. Food + Art. Awesome. ArtFeast pairs the artist on exhibition and a noted chef/sommelier to collaborate on a wine-paired menu inspired by the works in the show. ArtFeast is a 12-person, seated dinner with the featured artist as the honored guest. 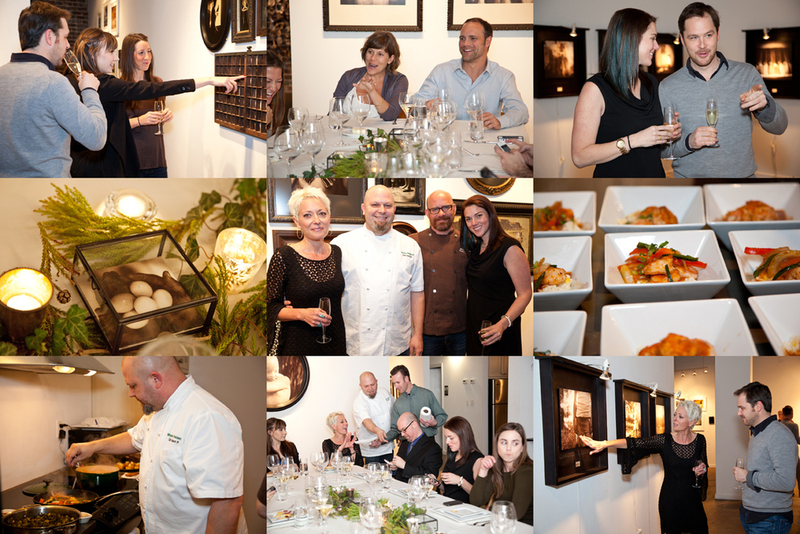 We have hosted three ArtFeast dinners so far, and they have all been really successful and fun. People get introduced to art in an unintimidating and accessible way. A delicious meal, surrounded by art, with the artist as a dinner guest – it makes for a lovely night and a truly unique experience.